The most problem is about router configurations. Also all routers are not supported to this features. Check supported routers list for IPTV, if your device is not listed try methods used for other devices in this article. Routers for IPTV: 54 Mbit / s wireless routers (series G), 150 Mbit / s wireless routers (series N), 300 Mbit / s wireless routers (Series N) and older. IPTV distribution over a wireless connection without the prefix (you can use this connection only when the signal is not encoded) is theoretically possible to use a lot of routers, but in practice the smooth operation of the router can achieve only with alternative firmware. Netgear WNR 3500L consistently works with IPTV c firmware from tomato. I draw your attention that the cable and IPTV through the air – these are different methods for implementing IPTV in the apartment , IPTV through the air must be able to process your router and work to achieve IPTV, to intervene in the firmware of the router. Also don’t forget about the wireless network coverage, someone will need to optimize the network, while others face “lags” and artifacts while removing the client (PC, laptop, TV) from the router. In some cases there is a need to convert UDP-multicast flow in TCP-IPTV unicast. This is possible by using a special utility to UDP HTTP , which will convert the traffic. 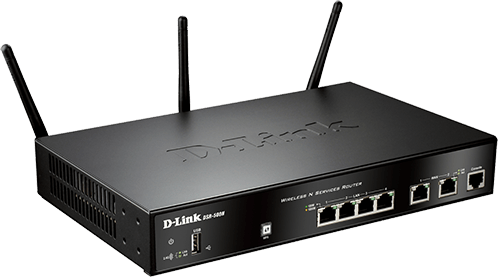 This application must be active on the PC connected IPTV over twisted pair, but it requires a constitutively active computer (north or customer network), or choose a router, able to convert traffic (supporting udpxy ). In this case, the conversion will be carried out by the flow of the router. UDP-to-HTTP Proxy is designed to convert udp-multicast IPTV traffic in tcp-unicast (specifically http) traffic. This is useful for comfortable viewing of IPTV over Wi-Fi , NAT, to PDAs, domestic players and gaming consoles. The computer does not need to configure often via wi-fi router. Update with firmware of your device and subsequently support IPTV on the router will be included automatically. 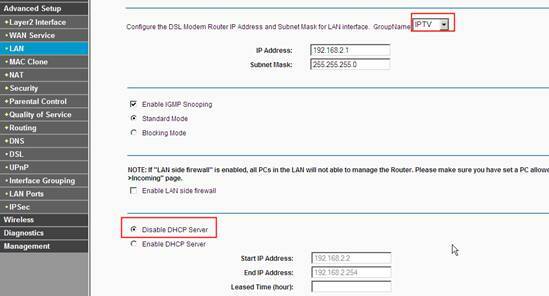 You only need to select the device (router) with the support of IPTV ( IGMP protocol ). IGMP ( Internet Group Management Protocol) – a protocol control group (multicast – multicast) data transmission networks, based on the protocol IP. IGMP is used by routers for network devices in the group. Anyone who was looking for information on forums, not just faced with the concept of multicast . IGMP is used to support streaming video that effectively influences the implementation flow IPTV. Immediately check the firewall is not blocking, firewall or anti-virus this protocol. Multicast is usually activated the option Enable multicast routing. Work through IPTV set-top box recommended to use the “Bridge” . Set up LAN ports on the mode switchings with WAN. Plus, we are able to connect the cable provider is not in WAN, and the LAN port that is integrated with WAN’om. Immediately, I note, this feature doesn’t support all routers. 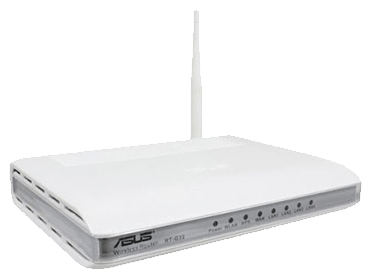 For example, in routers TP-LINK this feature on the menu Network – Bridge (Network – Bridge), it is called in the Asus Choose WAN Bridge Port , etc. IPTV is only necessary to select the LAN port, which we will use to connect IPTV STB . Who want to use larger number consoles, you can select the two ports (for example, LAN3 and LAN4, if you have two consoles). If your model wi-fi router doesn’t have support “Bridge” and your ISP’s enough support multicast (IGMP protocol) , you can look through the IPTV set-top box. In order not to look for the problem of transferring their IP television, where it doesn’t, check if the TV without a router. To do this, connect your computer to the cable provider directly. If IPTV has not filed vital signs, it is likely a problem with your ISP. Contact technical support. And in the case of a positive direct connection, it should be to find out from those. support enough multicast for IP television. Users whose model routers do not support the Bridge , but the TV does not operate correctly (“crumbles” image and “stutter” sound) should pay attention to their workload routers. This is especially true of those who have high speed downloads, excessive load (a large number of active torrent downloads, working in DC ++, etc.). To solve these problems, you can download a speed limit, limit the number of concurrent connections to 50. For those who use the model without the support of Bridge recommended that you connect no more than one set-top box IPTV . If you use two (or more consoles), and the router does not support the Bridge, you can use an ordinary switch. The switch must be installed in front of the router. To switch the two consoles are connected IPTV, cable of your provider, and the cable from the router to port WAN. Warning! Described instructions for configuring IPTV can also be used on other models of routers Asus for clarity, and not only in the Asus practical and theoretical application. 1. way. Go to LAN -> Route and tick “Enable multicast routing” – “Yes”. Reserve – “Apply”. In this case, the WLAN would broadcast multicast flow for VLC player without change. 1. Any additional settings to make VLC player is not necessary. 1. Ability to connect a computer to view IPTV only through twisted-pair cable (Ethernet-cable). 2. Falling speed internet connection to other computers in the local network at the time of playback IPTV. 3. Heavy load on the router. 4. Unnecessary multicast traffic within the network. Multicast to HTTP Proxy “, select a random port. For example, 2323. Save the changes – “Apply”. The ability to watch IPTV on your computer over a WiFi connection. The other computers on the LAN do not experience the fall speed in internet connection. The router is not overloaded. Multicast traffic to the internal network is not broadcast, and the VLC player captures video stream with wifi router. You must change the playlist for the used multimedia player. Open the playlist in a text editor. Find the line that looks like – udp: // @ 249.23.0.180:1234/ and remove the part that I highlighted in bold. Need to change it. In place of the removed part udp: // @ insert – http://192.168.1.1:8080/udp/ , where 192.168.1.4 – IP address of your wi-fi router, and in 8080 – the proxy port that you have chosen .